What is the laboratory’s role in implementing the know error® system? • When a positive for cancer (malignant) diagnosis is rendered, two 4-micron slices should be cut from the appropriate paraffin block(s) and sent to Strand Diagnostics using the supplied transport vials from the Know Error biopsy kit. 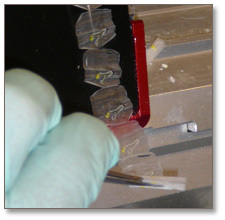 In some cases, unstained slides may be sent instead. The diagnostic testing cycle for cancer involves several medical professionals and nearly 18 complex steps, some of which are beyond your control as a pathologist. Undetected tissue transposition or contamination occurring at any step in the process could result in a cancer diagnosis being assigned to the wrong patient or in the case of contaminations, could result in confounded Biomarker test results leading to incorrect conclusions and therapy. When this happens, the patient with the false-positive diagnosis would receive unnecessary treatment, while the patient with the false-negative diagnosis would not receive the care she needs in a timely manner. 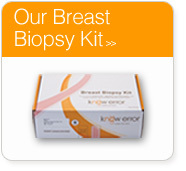 The know error® system completes the diagnostic testing cycle for cancer by confirming that surgical biopsy samples being evaluated are free from contamination and belong exclusively to the ascribed patient. This allows the pathology lab and the treating physician to confidently move forward with the diagnosis and corresponding treatment options for the correct patient. If one of your clients has requested the know error® system and you have questions or require further assistance with implementation, please contact us at 888-924-6779, option 2. 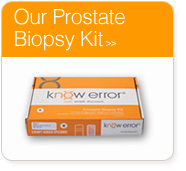 You can also consult the resources below for more detailed information on biopsy misidentification errors and the know error® system.